Started training running contacts with Flo when she was about 6,5 months of age. Because of the young age we only could do some work on the floor and then very slowly introduced the downramp. 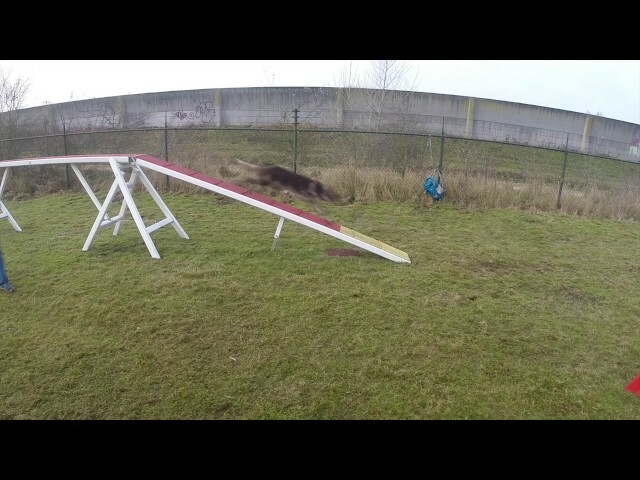 Because the lack of space i could only set up two thirds of the dogwalk in our garden wich was more then enough for a young dog to train on. When Flo was 12 months of age she did the whole dogwalk for the first time. Three months later this is where we stand. Still lots of work to do but it’s so much fun.